On a rainy Saturday in January, Nick Love and his wife, Nicole Cooling, blend strawberries, bananas and yogurt into smoothies in a small kitchen at Montrose’s Black Canyon Gymnastics where a dozen people have gathered for a midday potluck meal. Outside the kitchen, a table is covered with dishes, including locally-grown pinto beans cooked with onions and garlic; a savory corn casserole; and a plate of chocolate chip cookies made with oats, whole-wheat flour, nuts and raisins. There’s also a platter of raw veggies and a bag of fresh clementines. Tammy Cuneo has brought a crockpot of simmering chopped pork seasoned with garlic and apple juice, plus a tossed green salad. Her partner, Jason Ott, discovered only recently that he likes vegetables. “I couldn’t get Jason to eat any veggies – except for potatoes and spaghetti squash,” says Cuneo. These potluck attendees have been prescribed fruits and vegetables by their physicians through Local Farmacy Rx. “Local Farmacy Rx – Nurturing Farms and Families” is a 12-week program through which income-qualifying patients receive vouchers to spend on fresh produce at local farmers markets while attending cooking classes to learn how to use the produce. Two years ago, Olathe resident Abbie Brewer was managing the Montrose Farmers’ Market. She noticed a certain clientele was absent. She began researching online for ideas to integrate the low-income population into the local foods movement. She discovered a New York City program called Wholesome Wave, in which physicians prescribe fresh fruits and vegetables to their patients. At the time, Brewer was also volunteering for LiveWell Montrose Olathe, a Valley Food Partnership program that promotes healthy eating and active living. Collaborating with groups such as Montrose Memorial Hospital, Center for Mental Health Montrose, the county’s Health and Human Services, and the Hispanic Affairs Project, they created Local Farmacy Rx. The group secured a $165,000 Colorado Health Foundation grant to fund a two-year pilot program that Brewer manages. 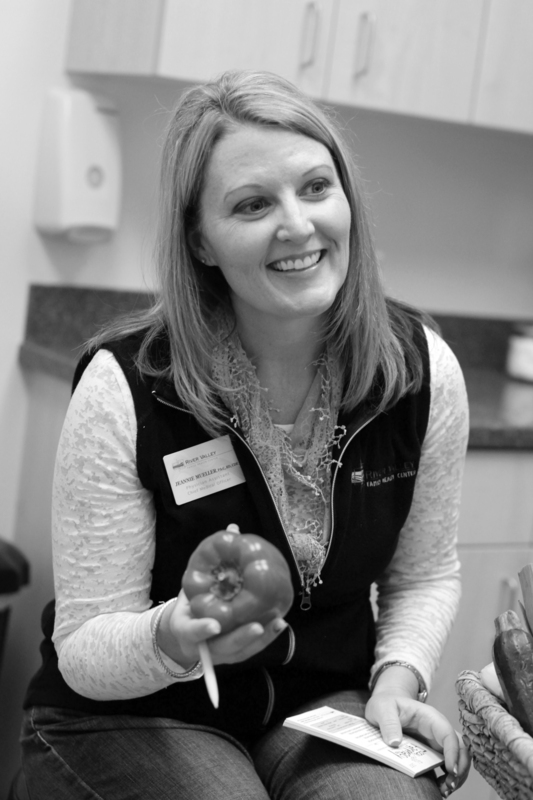 Nurse practitioner Jana Faragher recruited a network of Montrose and Olathe physicians willing to prescribe fruits and vegetables to patients they believed could benefit both health-wise and economically. Participants were given $35 vouchers to spend each week on fruits and vegetables at the Montrose Farmers’ Market. Additionally, the nine families who signed up for Local Farmacy attended biweekly cooking and health education classes. Eighty percent of class ingredients were from local farms. “It strengthened not only families, but local farmers, too,” says Brewer. Together, family members cleaned and chopped eggplants, bell peppers, purple potatoes, cabbage, tomatoes – whatever happened to be in season – trying new recipes using vegetables that some had never tried before. “It was critical to have all family members involved,” including children, who typically don’t do the shopping or cooking, says Faragher. Participants were given handy kitchen tools – salad spinners, vegetable scrub brushes, and graters – to take home as “incentives.” After making veggie tostadas, cabbage salsa, or vegetable stir-fry in class, the families sat down together and ate. Officially, the 2014 Local Farmacy season began August 23, and ended November 1. However, a kinship formed from the cooking and sharing of meals; and participants expressed an interest in staying connected with one another, says Brewer. Thus, the first crop of Local Farmacy clients decided to continue meeting monthly for midday potluck meals throughout the winter. Evans and her husband, Darwin Arnett, and their kids were among seven families who had never been to the Montrose Farmers’ Market before last summer. “I saw things that I didn’t know grew here,” says Arnett. Prior to signing up for the program, none of the nine participating families were aware that the farmers’ market accepted SNAP (Supplemental Nutrition Assistance Program) benefits. In 2014, Farmacy bucks accounted for 2.7 percent of Montrose Farmers’ Market sales. More significantly, vendors noted last year an increased use of SNAP benefits due to a greater awareness generated by Local Farmacy clients. Food stamp purchases, which included eggs and meat as well as produce, provided about 40 percent of overall farmers’ market sales, says Brewer. Two years ago, the percentage of farmers’ market sales from SNAP benefits was zero. To track program results, participants’ height, weight and blood pressure were measured and recorded before and after the three-month period. Misael Quintero discovered he had high blood pressure so he started eating smaller portions, consuming less salt, and eating more fresh produce. Quintero also started exercising more. By the end of the 12 weeks, his blood pressure decreased by 20 points, and he lost 10 pounds. Overall program outcomes showed an increased consumption of fruits and vegetables, a median BMI reduction of 1.5 percent, and family members sharing meals together more often. Several of last year’s Local Farmacy participants, like Misael’s wife, Francisca, have offered to help mentor a new group of families during the 2015 Local Farmacy season, says Brewer. Quintero has volunteered to translate for Spanish-speaking clients. Brewer says she hopes to start this year’s program in July, and wants to increase participation from 9 to 40 families. She also hopes to increase physician involvement. Farmer Alyssa Tsukushi says it was great to see a new group of patrons at last year’s market. “I was giving turnips to the kids,” she says. “They would chow down on them raw. They’re very sweet. People loved them.” Jason Ott, the former steak-and-potatoes-only guy, says he’d bring his daughter to the farmers’ market every Saturday where, from her stroller, she’d point to the apples, peaches and plums that he would buy. And, she loved Tsukushi’s turnips. “Now, instead of cereal, she eats turnips for snacks,” says Cuneo, her mother. At the potluck, Brewer is wearing a white and green baseball-type jersey with the phrase “Eat Your Vegetables.” Apt attire for the mother of four teenage boys. She understands how some families might need a little help, or incentive, to spend money on fresh fruits and vegetables when budgets are tight. And, how it becomes easier once you know how to prepare fresh produce, how delicious it can be, and, how eating more vegetables improves health. Brewer says she frequently heard exclamations of “Wow, this is good,” as people tried new foods for the first time. Not only did Local Farmacy help families improve their diets, it provided an avenue for medical providers to initiate conversations about nutrition and lifestyle, and gave local farmers a new clientele. “It’s been a win-win-win for everybody,” says Brewer.